Kids are not too hard to please, but when it comes down to finding a Christmas gift for someone who has it all, it may begin to become challenging. 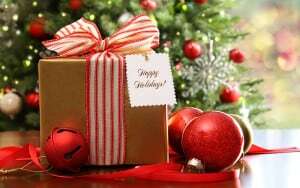 Giving Christmas gifts to kids is an unspoken necessity on Christmas morning and it is important for them even for those who already have an overwhelming pile of toys and gadgets. However, with the many things you can buy on the market and emerging new toy trends, you might be able to find one that will still excite and surprise them. Here are some of the best Christmas gift ideas for kids who seem to already have everything. Social media made Emojis highly popular, not only among adults but to kids as well. A collection of emoji pillows would be a great addition to any kid’s room and what’s even better is that it comes at very affordable prices. These fluffy and soft items will sure to bring a smile to your kid’s face on Christmas morning. If you have grown up loving Harry Potter books and movies, why not pass on that interest to your child? This new addition to J.K. Rowling’s hit franchise is sure to entertain your kids and encourage them to start reading. If your kid doesn’t have a collection of Harry Potter books yet, you may also buy the previous books to start them on becoming HP fans. If your child is into art or you are just beginning to see the potential, go for DIY art kits. There are different products of this kind out there so you are sure to find one that is interesting enough that your kids haven’t gotten their hands into. This gift will sure to encourage the artistic side of your child and may lead to the growth of his artistic interest. There’s nothing more exciting to a kid than a day at a game studio, and we are not only talking about video games but places that encourage them to move around and get active. If you know a place near you that offer these services, giving your kids tickets will surely make their Christmas merry. In this age of app games and everything digital, reliving your childhood moments by teaching your kids some popular strategy and puzzle board games can spark their interest. Board games like Monopoly and Games of the General or new Coding and Puzzle board games available in the market today may just be what you need. Thinking outside of the box and doing away with the common toys and gadgets is one way to make your kid happy this Christmas. Plus, you get the chance to help them develop new worthwhile hobbies, gain new learnings and even learn valuable life skills that can prove helpful to them as they grow up.